Note: if you use an auto navigation system to find the theatre, be sure to enter “Tucson” and not “Vail”. From Interstate 10 – Exit Houghton Rd. and proceed north 2 miles to the first light at Old Vail Rd./Mary Ann Cleveland Way. Turn right on Mary Ann Cleveland Way. Proceed about 1/2 mile, and turn left into Empire High School/Vail Theatre of the Arts. From the east side of Tucson – Travel south on Houghton Rd. 2 miles past Valencia to the light at Old Vail Rd./Mary Ann Cleveland Way. Turn left on Mary Ann Cleveland Way. Proceed about 1/2 mile, and turn left into Empire High School/Vail Theatre of the Arts. 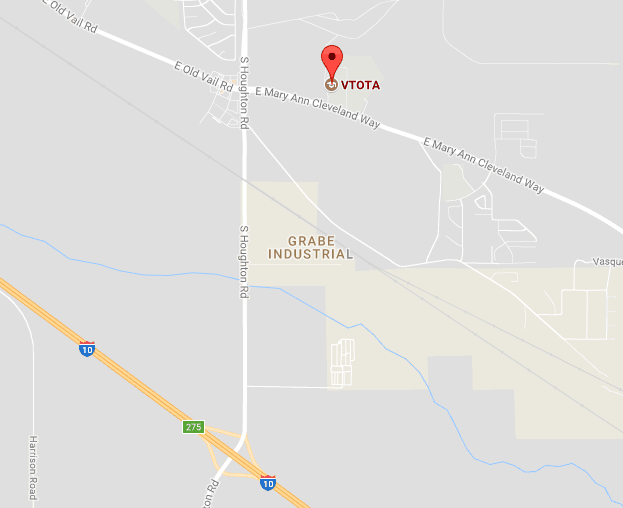 From Vail – Travel west on Mary Ann Cleveland Way approximately 4 miles past Cienega High School. Turn right into Empire High School/Vail Theatre of the Arts.